Teen Titans peminat Art. I do NOT take credit for these photos.. Wallpaper and background images in the Teen Titans club tagged: teen titans starfire robin raven beast boy cyborg titans terra. 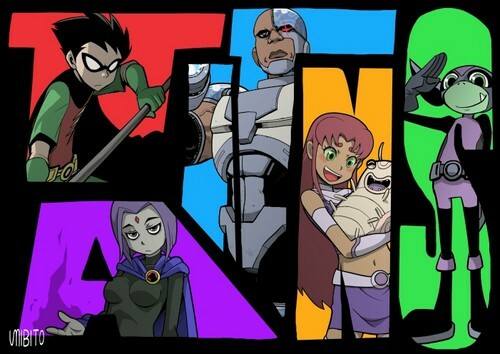 This Teen Titans fan art contains anime, komik, manga, kartun, and buku komik. There might also be tingkap kaca berwarna and tetingkap kaca patri.